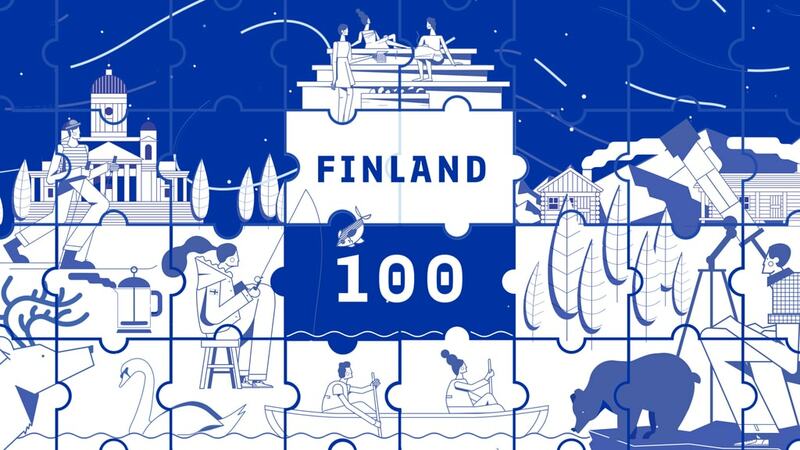 [dropcap]F[/dropcap]orests as ancient as time that reach into white nights, a national obsession of sweating it out in saunas, and a flair for technology and design that seems always to preempt the future, Finland is a country that trades on its desire to be different. Thanks to this enviable trait, it has carved out a niche for itself on the global stage in the 100 years since it declared independence from Russia on December 6, 1917. To celebrate this century of eccentricity, Culture Trip is taking you on an exploration of everything that makes Finland unique, from its wild, undisturbed landscapes to its wacky, incomprehensible sports. With help from animator Joe Brooks, we get excited about all the best reasons to make Finland our next travel destination. Culture Trip reveals just what makes Finland’s ancient wilderness so special. Get under the skin of Finnish sauna culture, from sausage cooking to snow rolling. Culture Trip explains everything you need to know about a trip to one of Finland’s three million saunas. Film editor Cassam Looch discusses Finland’s place in the rising tide of Nordic cinema. Music editor Ann Lee investigates Helsinki’s evolution from a heavy metal haven to a paradise for all music lovers. Fashion editor India Doyle goes in search of the secrets behind Helsinki’s status as the Nordic fashion capital. Learn how one trailblazing textile company shaped Finland’s international reputation for fashion and design. Why Does Finland Have So Many Wacky Sports Events? Take a look at how the Finnish passion for all things unusual has entered the world of sport. Discover how skateboarding is helping to ease the strain of the long Finnish winter for the country’s youth. Tech and entrepreneurship editor Claire Lancaster talks to the Finnish startup HappyOrNot about the country’s surprising economic prowess. We count down the most remarkable inventions that the Finns have gifted the world in the century since independence. Examine the curious theory that Finland is a mere figment of the Soviet-Japanese imagination. Explore the history and quirks of one of Europe’s most harmonic yet challenging languages. Culture Trip recounts the story of how opera helped fuel the national pride needed to secure an independent Finland. Get to grips with the Finnish education movement that leaves the classroom behind for a day in the forest. Bask in the glory of Finland’s finest nature and wildlife photography.